I found this dark Ibis foraging in the muck draining off the stockyard in Ordway, CO (yeah,what a yukkie place to forage). This ibis was alone though there was a second dark ibis a few hundred yards away. 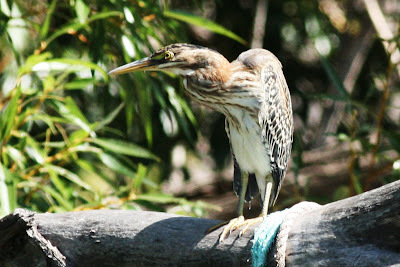 It is in Basic (non-breeding plumage) as evidenced by lack of chestnut coloration on body and by a duller brownish color without the iridescence found during breeding season. 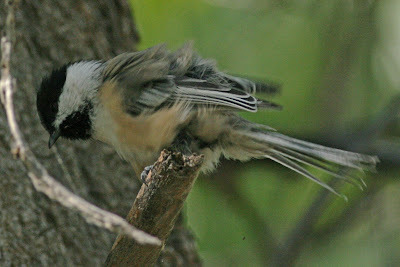 There is also white streaking on the head and neck that occurs in non-breeding plumage. 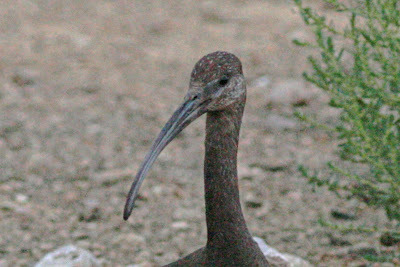 I found this apparent migrant yesterday on the east section of the Canon City, CO Riverwalk. Though I looked for it today, I did not refind it so expect it just stopped to forage while migrating.